First, I am very thankful that I was able to sleep in until 8:30 this morning, despite Brett and I both forgetting to turn of our alarms. At this time of year, sleep is so essential. So we got up, bundled ourselves and headed to our usual diner around the corner for breakfast. In conversation during breakfast I mentioned to Brett that we should walk over to Dunkin on Lex to pick up the correct K-cups and possibly from there we would be able to see the Macy’s parade balloons. 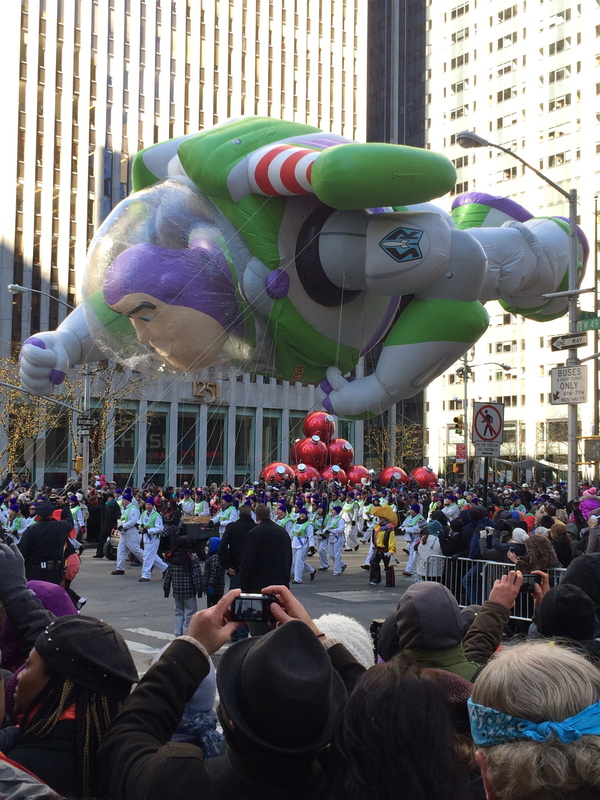 Neither Brett or I are parade people but this was the Macy’s Thanksgiving Day Parade and it’s the kick-off to holiday season! So Brett made a face and said he would go, but only as far as Lex. Well, we left the diner, picked up the coffee, stepped back out onto the street and looked across the avenues … and we couldn’t see anything. It was pretty chilly and I contemplated going home, but instead I told him to go home and I’d just walk over to catch the end of the parade. I had to! I hung a right and headed toward Rockefeller. 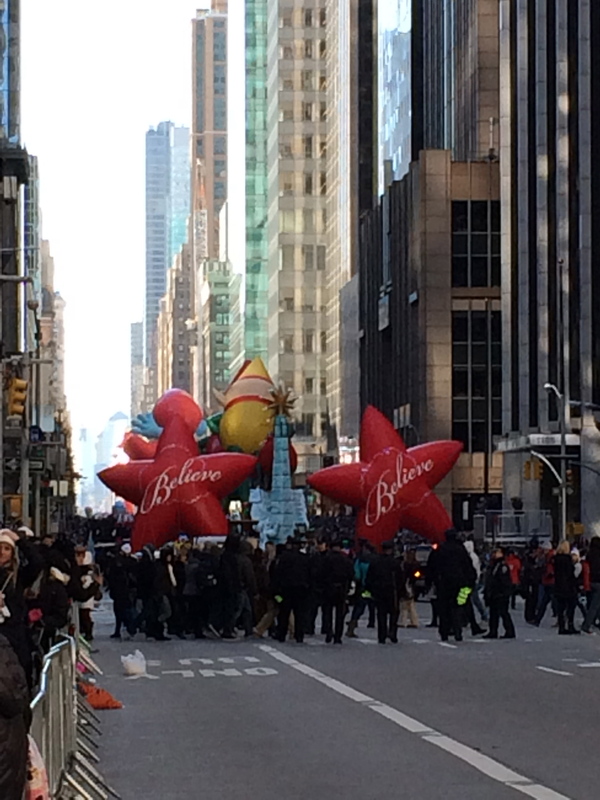 I’d say my timing was pretty smack on – I got to see some of the enormous balloons as I approached 6th Avenue, just on the other side of Rockefeller. 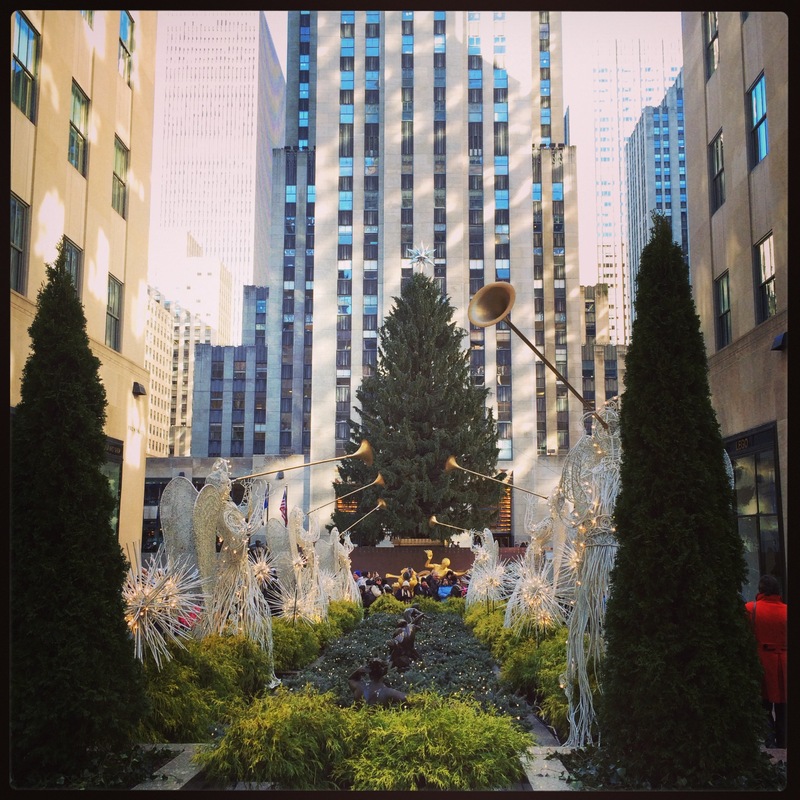 Many people, young and old – toques, puffy scarves, mitts and parkas on, to experience this iconic NYC event. 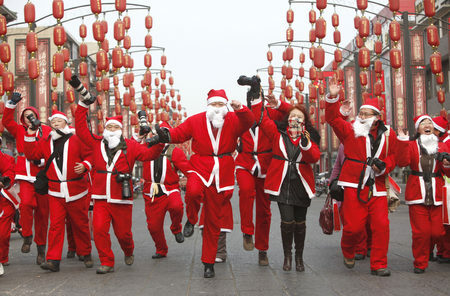 It was energizing absorbing everyone’s holiday spirit! Although the end of the parade is not as cool as the beginning – all the new balloons are at the front – it’s still pretty cool to watch numbers and numbers of people controlling these huge inflatable characters and shapes. They look so small in comparison. 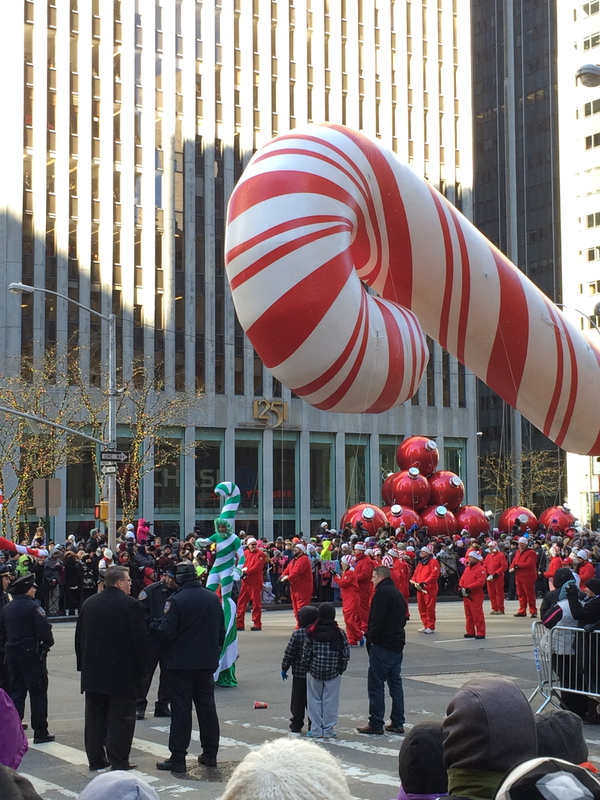 I’d say my hour this morning walking through Rockefeller, watching families all bundled – some making special trips into the city just for the parade and to experience the festivities, and observing that 15 minutes of parade pushed me into the Festivus season! For these moments and opportunities I am forever grateful. Happy Thanksgiving, Happy Chanukah, and Happy Holidays everyone! Take one of the most stressful times of year and turn it into a relaxing season of sharing, giving and cheer! ← Jab, Cross, Jab, Kick!